We have recently sent out our Spring newsletter. Have a read of it here. If you would like our newsletter direct to your inbox, please sign up here. The Minko Team have been working hard all January to give our cellar door a refresh! We have decided to move away from our providore roots, and focus predominantly on being a Cellar Door. So, gone is the majority of local produce (other than Minko Gold olive oil and Andy’s bread on Saturdays), and instead the focus point is wine, wine, wine! 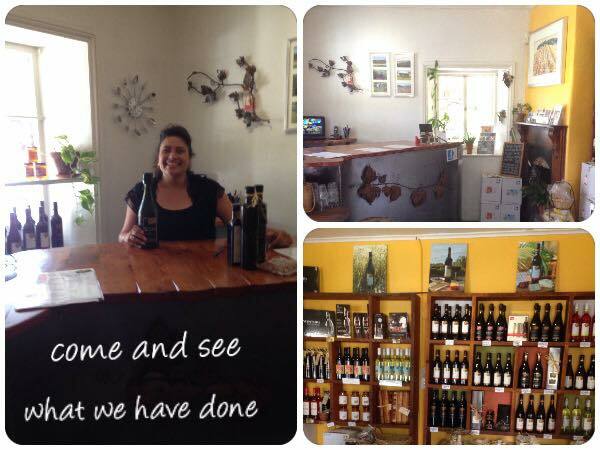 We have moved our beautiful home made counter to the side which gives our customers easy access to examine all our wines, and makes our tiny cellar door feel so much bigger! Come and see for yourself! 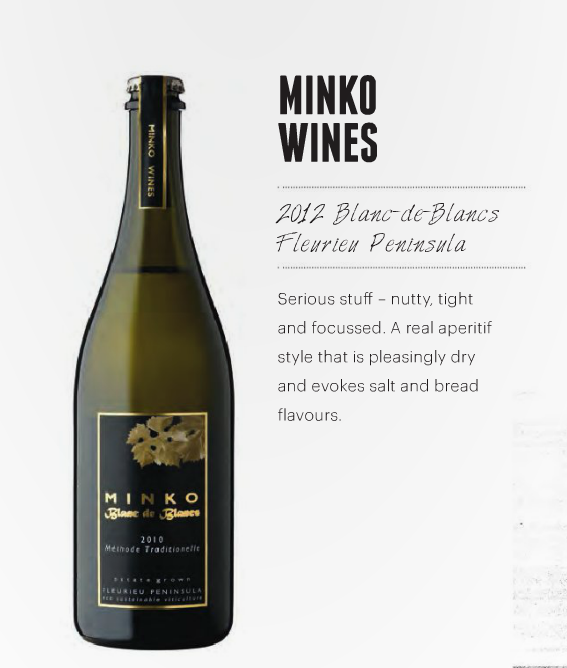 Minko Blanc-de-Blancs one of SA’s hottest 100 wines! We are very VERY excited to hear that our 2012 Blanc-de-Blancs featured in the Adelaide Review’s Hot 100 Wines of South Australia! “Serious stuff – nutty, tight and focussed. A real aperitif style that is pleasingly dry and evokes salt and bread flavours”. Thanks to the Adelaide Review Judges, and congratulations to all the other winners! Read about them here. 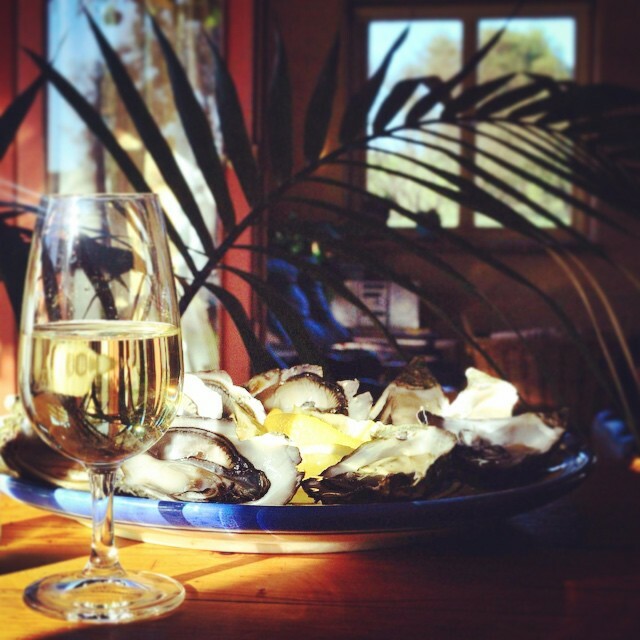 You can buy our Blanc-de-Blancs in our Cellar Door and online. Woohoo! 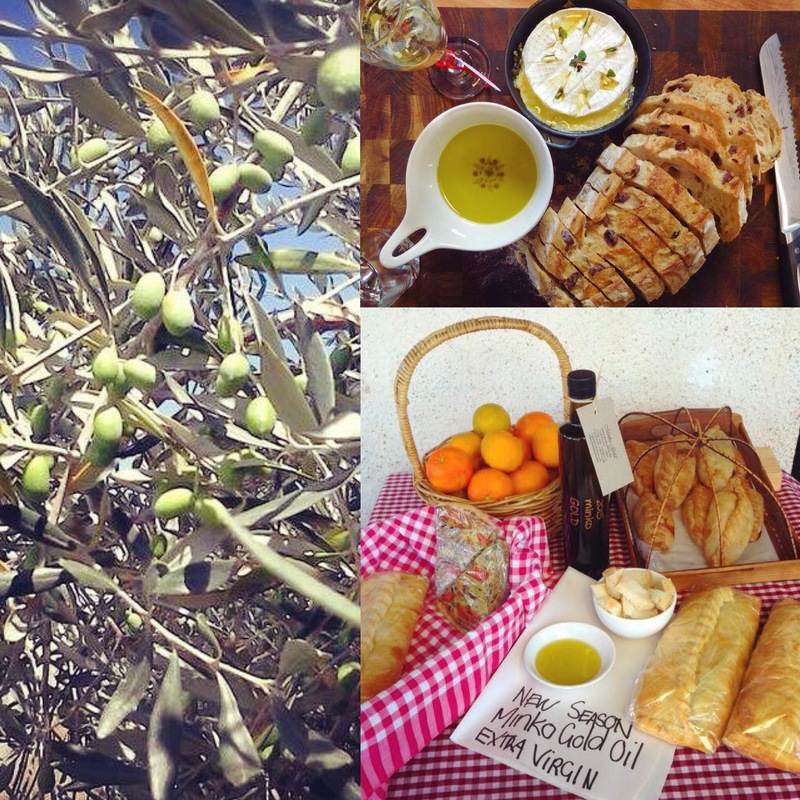 Our Minko Gold Olive Oil just won silver in the Small Producers category of the Fleurieu Peninsula Food Olive Awards! Very chuffed! Minko Gold has a lovely freshly cut grass flavour with a peppery after bite. Delicious with crusty bread, or drizzled on salads and winter soups. It also makes an excellent Christmas present, especially when paired with a bottle of Minko wine! You can now buy Minko Gold in our Cellar Door and online. In our last newsletter we welcomed Matt Bennett. He has sadly moved on, but we now have a new Matt to fill his shoes! Matt Johnston is our new wholesale manager, and comes to us with a wealth of experience and a passion for wining and dining. Originally a Sydney boy, he fell in love with South Australia, particularly the Fleurieu Peninsula and its world class wines. 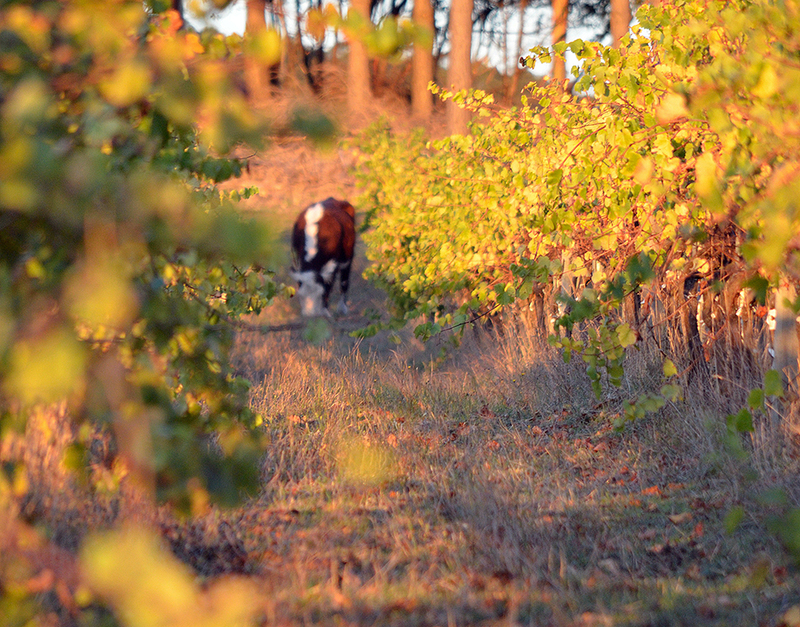 He moved here with his wife in 2010, and has worked in both cellar door and sales for a couple of local brands. 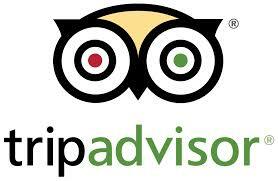 Minko is on TripAdvisor! If you have enjoyed your Minko experience, we would really appreciate it if you’d put pen to paper – or rather fingertips to keyboard – and write a few words about us here, or any other review sites that tickle your fancy! We were stoked to see that both our 2013 and 2014 Pinot Grigios got 94 points in James Halliday’s Australian Wine Companion! 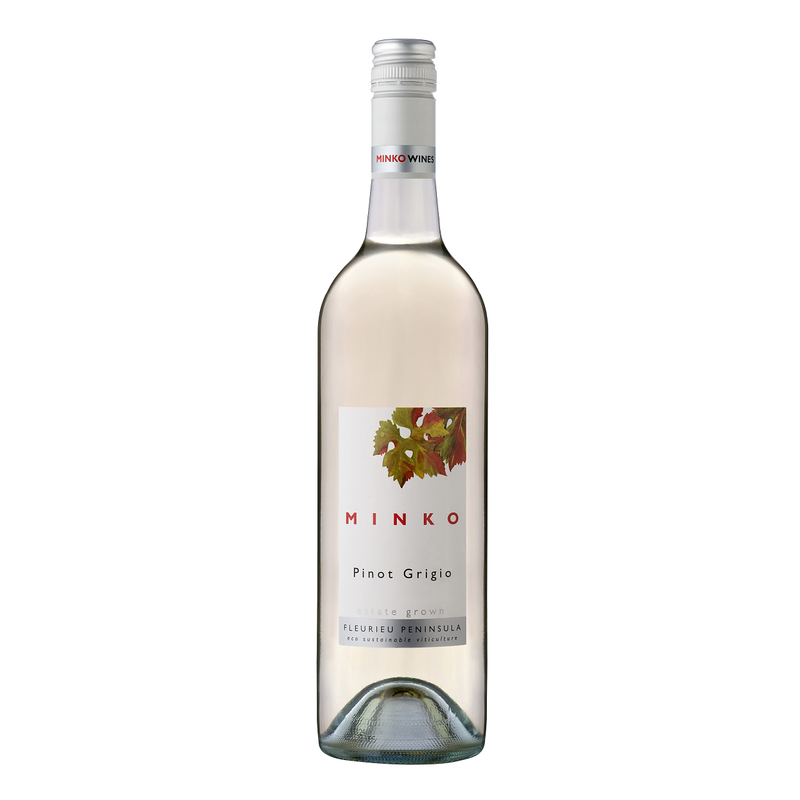 “Straw-coloured; a well above average grigio with vibrant pear, apple and a flash of pink grapefruit flavours, the finish long and compelling with its bright acidity. Bargain”. We have also just finished bottling our 2015 Pinot Grigio, and it is delicious! Fresh, clean and crisp, this refreshing drop has aromas of grapefruit, pear and a little lychee, with a palate of citrus, grapefruit and a little honey. Drink now with your favourite Thai meal or seafood dish. Pop into cellar door to grab a bottle or two… before they all disappear! This year’s harvest was very fruitful… pardon the pun! 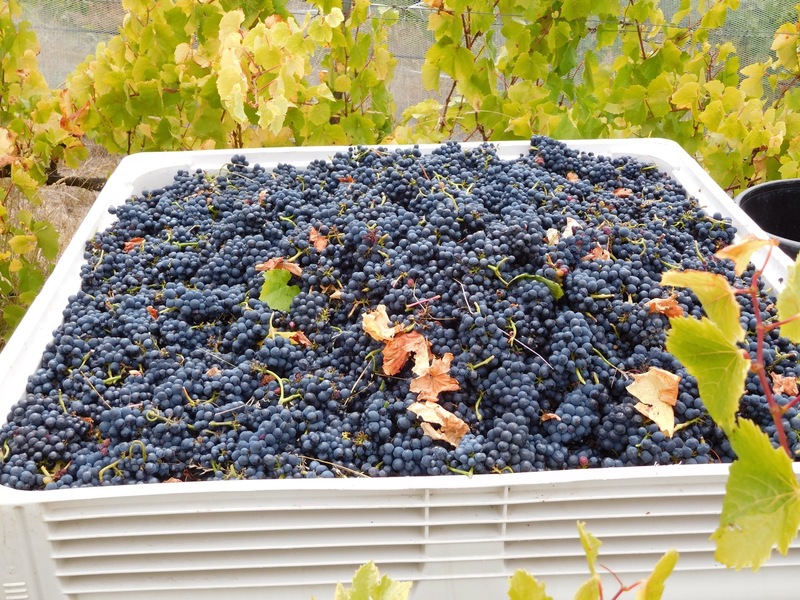 All varieties yielded good tonnage and are showing excellent characteristics to produce delicious and interesting wine. We had a very long vintage this year, starting early with the Pinot noir and Chardonnay for our sparkling on 14 February, and finishing on 15 April with the Cabernet. 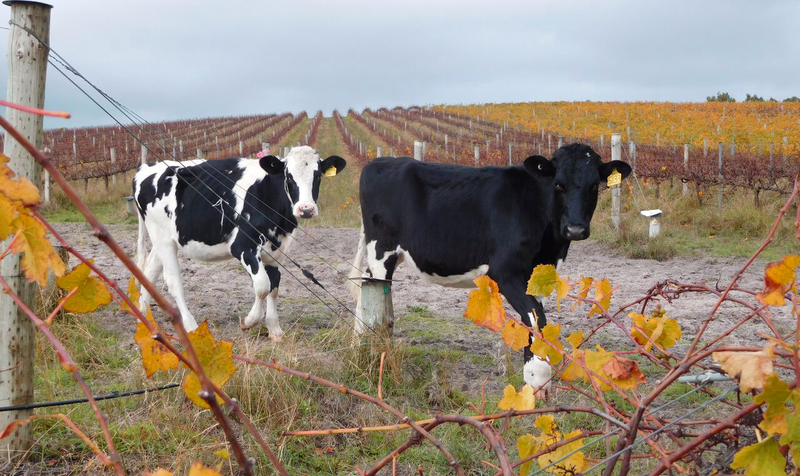 We harvested the Rose and Chardonnay in early March, the Pinot noir mid March, and the Merlot in early April. A great vintage for us and very uncomplicated with no disease pressure and very steady predictable ripening. This meant we could book in early with our winemaker and enabled us to pick most fruit at the optimum balance of ripeness, acidity and, in the case of the reds, tannin structure. 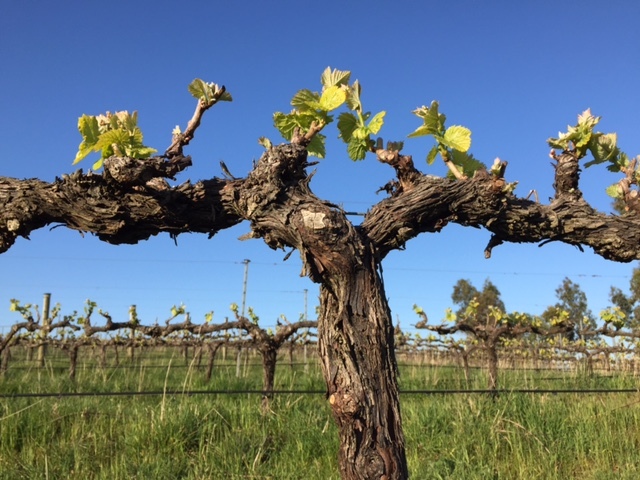 Our vineyard has fairly open canopies that dry readily so solid rain in early April had no effect on the berries. I’m really happy with how the wines are looking so far. The Rose and Pinot grigio have been bottled and are drinking really well. Please join us in welcoming Matt Bennett to the Minko Team as our new Wholesale Manager. Matt has recently moved to Adelaide from Brisbane, where he worked as a wine sales agent, as well as studying viticulture in the Hunter Valley. 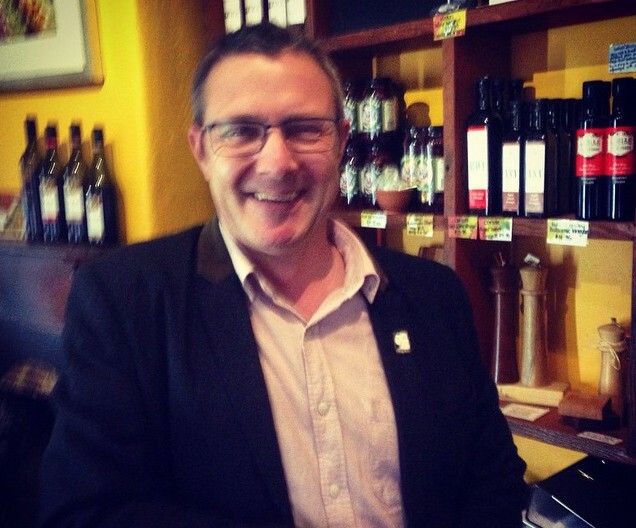 Matt is passionate about wine and viticulture and has lots of ideas for expanding the Minko wholesale market. He also has a great sense of humour and loves a yarn, so if you see him around, please say hello! We have just sent out our winter newsletter. Have a read of it here.